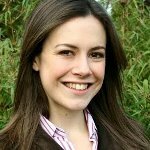 Isabel Hardman is an English blogger and journalist, and is currently the assistant editor of the Spectator where she writes and edits the popular Coffee House blog. She is also a columnist for the Daily Telegraph. Isabel has also made guest appearances on BBC television programmes including Question Time, This Week and The Andrew Marr Show and is the presenter of BBC Radio 4’s The Week in Westminster.